Delhi government Monday launched a website and issued a telephone number through which people can give their suggestions on the odd-even car rationing scheme. Chief Minister Arvind Kejriwal had last week expressed his government’s intention to roll out the second phase of the scheme, aimed at tackling pollution in the national capital, and issued an email ID seeking people’s opinion on it. A senior official said the government has launched a website – oddevenidea.delhi.gov.in – through which Delhiites can send their opinions on the implementation of the 2nd phase of the road-rationing experiment. 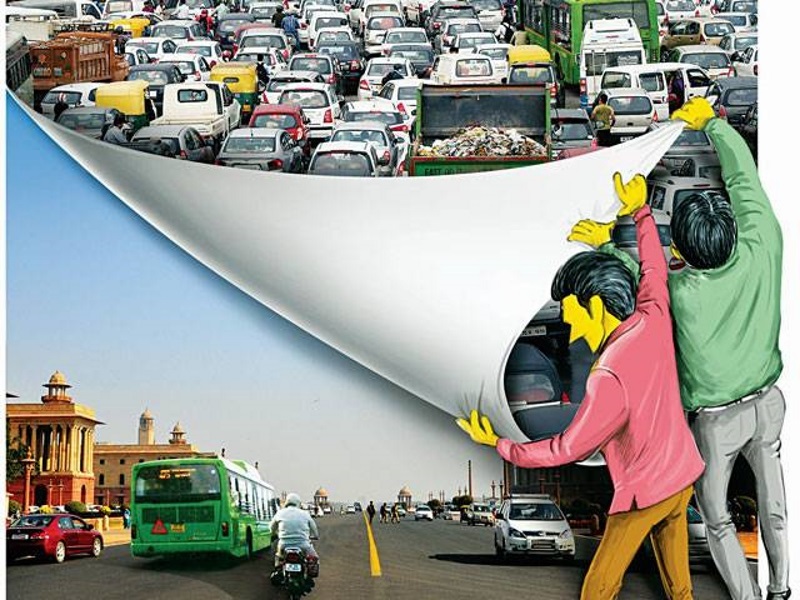 “Apart from website, the people of Delhi can also give a missed call on 09595561561 and thereafter, they can follow the instructions provided by Interactive Voice Response pertaining to the second phase of car-rationing scheme,” the official said. The AAP government had on January 25 decided to invite public suggestions on a bunch of questionnaire relating to the scheme like whether the scheme should be implemented again, if yes, when it should be done and for what duration, whether people will be encouraged to buy another car and whether the exemptions introduced earlier were up to the mark or need to be reconsidered. It has also asked the people whether the President, Vice-President, the Prime Minister and Union Ministers should be exempted in the second phase. As per the plan, the AAP government has asked all MLAs to organise ‘jan sabhas’ in their respective constituencies from February 6 to 7 to seek people’s suggestions on the issue. “We have decided to seek public opinion in a structured way and incorporate people’s suggestions before implementing the second phase of the odd-even scheme which received an overwhelming response from the public earlier. “Based on the feedback received by February 8, we will analyse and come up with a concrete plan,” Kejriwal had then said. No Comments on "Odd-Even: Delhi Government Launches Website for Public Suggestions"